The Wehrmacht’s winter failure outside Moscow and its Blitzkrieg’s lack of success forced German intelligence services to seek new opportunities. In this regard, in March of 1942, the Reich Main Security Office (RSHA) developed a specific plan codenamed Unternehmen Zeppelin. Four frontline Sonderkommandos linked to police operational groups and security forces in the occupied territories of the USSR were assigned to its immediate implementation as part of the 6th Department. This also included several reconnaissance and sabotage schools for training agents to operate in the Soviet rear. 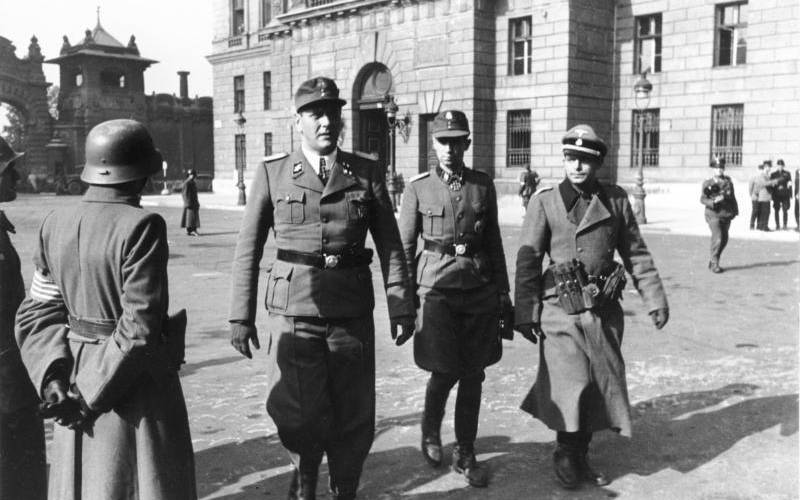 SS special operations commander Standartenführer Otto Skorzeny. We cannot be limited to dozens of groups with disparate activities; for the Soviet colossus, they are just pinpricks. We need to implement thousands. Hitler’s counterintelligence chief Walter Schellenberg wondered— in his memoirs called The Labyrinth—how global this operation was, and how much importance was placed upon it. POWs and Soviet soldiers who changed sides voluntarily were chosen for this operation. After giving consent to work for German intelligence and consequent verification, they were in the same boat as the soldiers of the Wehrmacht, including the provision of excellent food and living conditions. They were even allowed to travel to Germany. Following a number of serious setbacks in the spring of 1944, the Nazis began to consider another possibility for liquidating Stalin. Let us recall that Operation Cicero—the goal of which was to assassinate the three leaders of the anti-Hitler coalition during the Tehran conference—failed. Walter Schellenberg recalled that in the summer of 1944, he was summoned to the Fuschl castle by Joachim von Ribbentrop. When they met, their conversation turned to the necessity of eliminating Stalin and the work of the technical department of the RSHA and Security Service (SD). Then came a conversation with Heinrich Himmler, who approved the operation. As a result, the operation to eliminate the Soviet leader was entrusted to Petr Tavrin—a repeat Ukrainian offender, whose real name was Shilo. Petro Shilo was one of “those cadres.” Several times he escaped from the camps and not only changed appearances, but also his last name. Shilo-Tavrin was quite the find for intelligence services, since he had vast experience: a long-time criminal, he managed to insert himself into law-enforcement agencies, and, before the war, he even worked as an investigator at a regional prosecutor’s office in Voronezh. In 1941, Tavrin was drafted into the army, but only four months later, he voluntarily surrendered. The Abwehr and SD took note of him in the camp where he was being held. After analyzing his capabilities, Tavrin was delivered to Heinz Gräfe, who was in charge of several programs of the Zeppelin operation. His training took place as part of a separate program in the Zeppelin-Nord intelligence branch. At first the branch was stationed in Pskov. Then it was transferred to Riga. 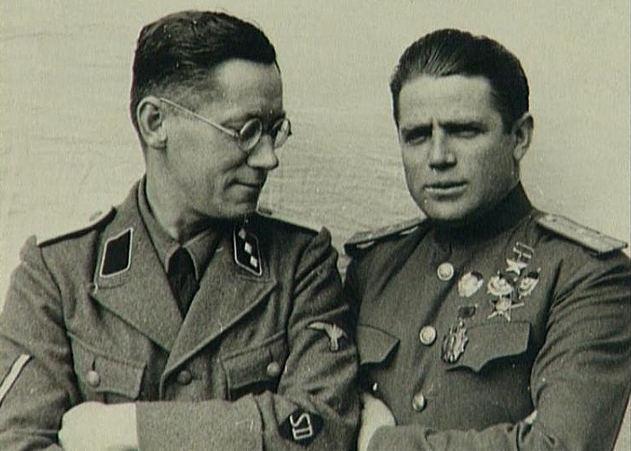 When Tavrin had achieved certain successes, he was shown to Otto Skorzeny, Germany’s superspy. The latter rated his capabilities highly. Shortly afterward, Tavrin was already living at a safe house in Pskov, where he met his future wife, Lydia Shilova. She was not just his wife, according to the cover story, and, in addition to spousal duties, she also had to work as a radio operator for Tavrin’s mission. These saboteurs received excellent false documents: Tavrin was made to be a Hero of the USSR, Major General, and the Deputy for the Division of Counterintelligence of SMERSH (an abbreviation of “death to spies”) in the 39th Army of the First Baltic Front. His wife, radio operator Shilova, “became” a second lieutenant in SMERSH. The operation was so significant and unique that its organizers used a special aircraft, the Arado-232. The plane was ready to fly at night, in any weather, and to land and release any reconnaissance and sabotage groups on almost any surface, excluding the mountains. Under the fuselage in case of landing in a swamp, the aircraft had 12 pairs of rubber-coated caterpillar tracks. This air machine was well equipped, whereas its crew undertook special training. Tavrin was to assassinate Stalin by using a special device, the Panzerknacker, loaded with nine rounds. In essence, this was a miniature grenade launcher— the Faustpatrone. It consisted of a short barrel mounted on a leather cuff of the terrorist’s arm and was easily concealed under a wide-sleeved coat. The Panzerknacker could easily shoot through an armored plate thicker than 30 mm at a distance of 300 meters. In addition, Tavrin was supplied with a magnetic mine that had a radio-controlled fuse along with different kinds of hand guns, including a Webley & Scott eight-round revolver with 15 explosive bullets loaded with poison. The transfer of terrorists took place on September 5, 1944 in Karmansovskii district of Smolensk region. However, the ever-praised Arado aircraft did not handle the Russian weather. The pilots got stuck in a night storm and poorly chose the landing site. As a result, the plane crashed and could not return. After disembarking from the aircraft, the Tavrins rolled out a motorcycle and headed east. German pilots decided to blow up the plane—to avoid declassifying the assignment—then, to cross the frontline and come back themselves. But things turned out the opposite: the explosion drew the attention of patrols and Soviet counterintelligence. A search began, and the pilots were rounded up. They chose to return fire. As a result, one of them was shot dead, and two were captured. The NKVD managed to obtain testimony: this is the way the Soviet side learned about the plane’s passengers. The Tavrins were caught outside Smolensk and taken to their final destination—Moscow. Stalin was personally informed about the incident. He listened to the opinion of counterintelligence that suggested using the captured agents. Following their interrogation, the Soviet side decided to engage in a radio game with the Germans. This task was assigned to Captain Grigorii Grigorenko with the overall command in the hands of Major-General G. Utekhin, Major-General V. Baryshnikov, and Colonel-General V. Abakumov. SMERSH officer Grigorii Grigorenko, 1944. Gregorii Federovich Grigorenko was born on August 18, 1918 in the town of Zenkov, Poltava region, today’s Ukraine, in the family of state workers. After high school, he was planning to work in agriculture, but went on to study at the Physics and Mathematics Faculty of the Poltava Pedagogical Institute. Graduating in 1939, Grigorenko was invited to work in the “organs.” He began his service as an Operations Assistant Commissioner of the so-called Special Department in Konotop. 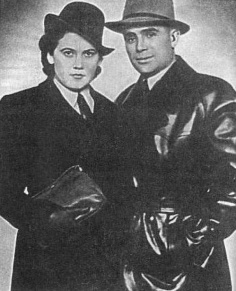 In 1940, Grigorenko was called up for military service. That same year, he became an Assistant Security Officer of the Special Department in the NKVD’s 151st Infantry Division of the Kharkov Military District. 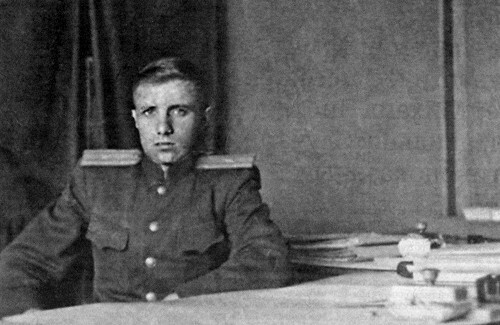 From the beginning of the war, Grigorii Grigorenko participated in battles as a security officer of the Special Department in the NKVD’s 4th Air Brigade of the Kharkov Military District. By August, however, he was already seriously wounded. After being released from hospital, he was sent to the Special Department of the De-mining Brigade at the Stalingrad Front. In 1942, he finished coursework at the Higher School of the NKVD on leadership training and was sent to Counterintelligence at the NKVD, a department responsible for countering intelligence and subversive activities of the Germans. He joined a group of operatives in the Central Office tasked with organizing radio games against the German intelligence by using captured agents. Their goals included infiltrating Hitler’s secret services, obtaining information about the upcoming subversive actions against the Soviet Union, and adopting measures for their localization, as well as misleading the German High Command by disseminating misinformation about the intentions of the Soviet side. In 1943, Captain Grigorenko was transferred to the 3rd Department of the Main Counterintelligence, SMERSH, in the People’s Commissariat of Defense (NKO), specializing in radio games with the enemy. Before the incident with Tavrin, Grigorenko had already gained experience from his participation in the operation Enigma (Zagadka). Therefore, it was he, who was entrusted to lead Tavrin’s radio game. I am in the suburbs of Moscow, Lenino village, Kirpichnaia Street, 26. Let me know whether you have received my additional message about the landing. Once again, I ask for an experienced radio operator. Pass on the messages slowly. Say ‘hello’ to everybody. L.I . After that, the answer came almost immediately: “Your mission is to firmly root yourself in Moscow and prepare to carry out your assignment. In addition, you must report on the situation in Moscow and the Kremlin.” Grigorenko informed the higher-ups that the Germans swallowed the hook. Thus began the operation code-named Fog (Tuman). Initiating mutual contacts did not guarantee absolute success. Abwehr and SD were far from being stupid, and Tavrin could and should have been checked. Grigorenko decided that the main goal was to imitate Tavrin’s successful work in order to persuade the Germans to abandon their attempts to create, train, and send a duplicate terrorist group with a similar mission, of which the Soviet side may not be aware. In addition, Grigorenko suggested convincing Berlin to subordinate other agents to Tavrin. Tavrin (R) with one of his SD controllers (L). Petr and Lydia…We shall win. Perhaps victory might be closer than we think. Help us and do not forget our oath. Kraus. The Fog radio game went on until Germany’s surrender. One of the senior officials in the Reich Main Security Office mentioned that in the Zeppelin circles, Tavrin was talked about often. He was considered important, and was supposed to provide Zeppelin with honors, distinctions, and significant power in intelligence operations. After Fog was completed, all the participants received state awards, whereas Grigorenko was now considered a real pro of radio games. Gregorii Fedorovich himself viewed this operation as an example of the confrontation between the intellects of the two most powerful secret services—the Soviet Union and Germany. And it was the USSR that demonstrated its total superiority. Overall, this counterintelligence agent carried out 183 radio games. After the war, Grigorenko worked in military intelligence for some time, then became the head of the 14th Department in the First Chief Directorate of the KGB (foreign intelligence). In 1962, on the basis of his Department, the 2nd Service of the KGB (foreign counterintelligence) was established. He ran it successfully from 1962 to 1969. From 1969 to 1983, Gregorii Federovich headed counterintelligence of the USSR – the KGB 2nd Chief Directorate. He developed and implemented a complex system of interrelated operational measures in order to manage all the elements of the counterintelligence process. In fact, it is because of his system that we talk about the “golden age” of counterintelligence. At this time, several agents of foreign-intelligence services were exposed each year under Grigorenko’s leadership. SMERSH/KGB veteran, Col.-Gen. Grigorii Grigorenko. Among the CIA agents caught red-handed were the Second Secretary of the Foreign Ministry A. Ogorodnik (in the famous movie TASS is Authorized to Announce…. Grigorenko was portrayed as the General played by M. Gluzskii); A. Nilov, V. Kalinin, GRU staff members Filatov and Ivanov, aviation employee Petrov, KGB officer Armen Grigorian, Aeroflot staff member Kanoian, representative of the Ministry of Chemical Industry Moskovtsev, scientist Bumeister, Vneshtorgbank staff member Kriuchkov, and many others. Under Grigorenko’s leadership, CIA staff officers Vincent Crockett, Martha Peterson, Richard Osborne, and a number of other spies who worked in Moscow under diplomatic cover, were caught red-handed and expelled from the USSR. It is no wonder that Grigorenko wrote a book called Only Rats Can be Found in the Underground that became a bestseller in the late 1970s. 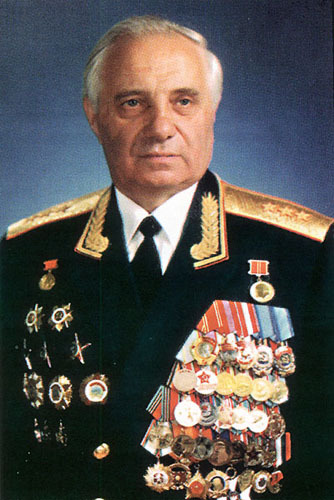 In his final years working for the KGB, he was one of the Deputies for General Secretary Yuri Andropov. In 1983, the brilliant Colonel General Grigorenko, who became a threat for the CIA, was transferred to the Ministry of General Machine-Building as the Deputy Minister. Apparently, following Andropov’s death, someone did not want for Grigorenko to continue heading the KGB. His personal qualities were fully manifested in honorable acts as the President of Vetkon, the Association for Veterans of Counterespionage, created upon his own initiative. He died on May 19th, 2007 at the age of 88. Translation and editing by Nina Kouprianova.